The West Jakarta Police, working together with the Tambora Police, arrested a young man after he abducted a 16-year-old a child and forced her into a religious marriage. Tambora Police Commission Wirdhanto Hadicaksono said the girl was kidnapped on Saturday, July 18, in Tambora, West Jakarta. The girl’s mother only knew that her daughter had disappeared and eventually went to the Tambora police to report that her child was missing. “The victim, who has the initial W and is 16-years-old, was abducted by the suspect, initial S, age 24, who worked as a gemstone polisher and forced her into an unofficial religious marriage,” Wirdhanto said today as quoted by MetroTV. The legislation follows continued pressure from child protection groups and United Nations experts, who asked the country to address the matter in 2010. It was one of lowest minimum ages in the European Union, with most members setting it at 16. Spain has raised the minimum marrying age to 16. Today, the average marriage age in the community ranges from 16 to 20 for women and from 18 to 22 for men, according to the Foundation of Spanish Gypsies. Spain raised the minimum age for marriage and sexual relations to 16 on Thursday, from 14 and 13 respectively, bringing the nation into line with a lot of Europe after protests from youngster safety teams. “It’s an age limit that makes us equal with the other countries of the European Union”, says Sara Gimenez, director of the Department of Equal FSG. Ana Sastre, speaking on behalf of Save the Children from Spain, previously said: ‘Fundamentally it’s a measure of protection to avert possible forced marriages, sexual exploitation or offenses against children, especially girls.’. Heathrow’s border control staff are facing a ‘huge challenge’ to protect girls at risk of female genital mutilation (FGM) and forced marriage during the summer holidays. 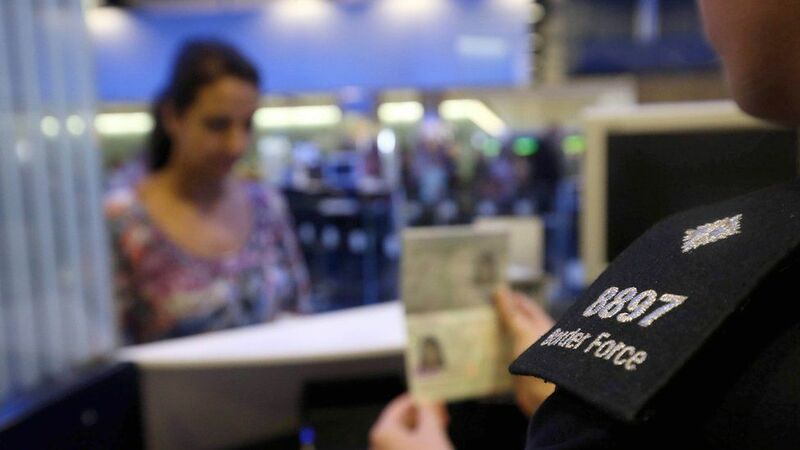 Border Force officers at London’s biggest airport have been trained to look out for girls who are being taken out of the country to undergo the illegal practice of FGM or other forms of violence, such as trafficking. National school summer holidays are known to be exceptionally high risk for young girls – in some parts of Africa it is known as ‘cutting season’ for FGM – meaning staff are putting extra efforts into identifying victims of FGM and forced marriage. Heathrow and Gatwick airport are conducting joint operations alongside the police to educate and protect potential victims. Today, Heathrow airport demonstrated its work to Home Office minister Karen Bradley by simulating the arrival of a young woman who was suspected to be a trafficking victim. If you are a teacher or a health worker and you think a girl has been subjected to genital mutilation, you now must report it. The government is going to make it a legal requirement in the coming months, although details of how the new law will be enforced still have to be worked out. A new report estimates that about 137,000 women and girls are affected in England and Wales, with the highest number living in London. The minister in charge of tackling female genital mutilation (FGM) admits it’s “a very difficult thing”. Karen Bradley, minister for preventing abuse and exploitation, told Newsbeat: “It is the case where there is sometimes nobody in the family who thinks this is unacceptable. Part of the plan to tackle it is to get more border staff at airports trained up on how to spot the signs of FGM, but also forced marriage and trafficking. This already happens at Manchester and Gatwick airports. At Heathrow Airport in London, 200,000 people leave and arrive every day. It was the first of many messages sent to the forced marriage and honour abuse charity Karma Nirvana from a teenager desperate to escape home. Over the past few months, in snatched one-line messages – “can’t stay at home any more. Losing the plot” – she has tried to plan her escape with staff at the helpline. In her chain of emails, she has claimed to be a “punch bag” for the family and expressed fears that her parents will “send her away to get married or worse” if they knew she was planning on fleeing. When The Independent spent a day at the helpline this week, the young woman was finally able to make telephone contact, sneaking a few seconds alone while her family were downstairs. Softly, she asks if the charity has been able to find a refuge for her in the city she wants to move to. The answer is no: all places are full up for the second day in a row. Jeena International ran a day of events, including a key note speech by police and crime commissioner Anthony Stansfeld on Thursday, July 16, at Singh Sabha Sports Centre in Stoke Poges Lane, Slough. A day of events was organised by a women’s charity to mark Honour Based Violence Day 2015. Throughout the afternoon there were talks on forced marriages, female genital mutilation (FGM) and honour based violence to safeguard potential victims. Zina Younes, 17, is a sixth former at Herschel Grammar School and volunteers with Jeena International. She said: “I think schools should really deal with these issues from a young age. “I think that a lot of these things happen in Slough so we do need to talk about it, especially because we are so multicultural.” Shabnum Sadiq from Slough Volunteer Centre said she had not come across forced marriage before but wanted to learn more about services available to help if it comes up during her work. “It is something which needs to be dealt with,” said Shabnum. The government is going to make it a legal requirement in the coming months, although details of how the new law will be enforced still have to be worked out. A new report estimates that about 137,000 women and girls are affected in England and Wales, with the highest number living in London. This already happens at Manchester and Gatwick airports. At Heathrow Airport in London, 200,000 people leave and arrive every day. Let’s make Honour Killings history………………. Every year thousands of women suffer from honour based violence with around 12 women killed, all for supposedly compromising their families so called “izzat” (honour). The 14th July is the official day to remember Britain’s lost women, this date commemorates the birth date of Shafilea Ahmed (#RememberShafilea), seventeen years later she was murdered by her parents in front of her sister after she resisted a forced marriage. The Halo Project Charity in partnership with Teesside University are holding an event on this historic day, 14th July 2015 to raise the awareness of honour based violence and will be leading the way for partners and agencies to sign a HBV charter. The day will also be an opportunity to see short HBV films, documentary and to find out what is happening locally to support victims. If you would like to join us and sign the Halo Partnership HBV Charter as a demonstration of our continued commitment to stamp out honour abuse, come and visit us from 9.30 to 2.00 @ Teesside University. For further information contact the Halo Project Charity on 01642 683045. Our partners will also be visiting during the day and include Middlesbrough Council, Cleveland Police, Durham Police, Northumbria Police, Middlesbrough College, North Star Housing Group, Teesside University, Victim Support, Durham University CPS North East and the Thirteen Group. You are currently browsing the halo project blog blog archives for July, 2015.